I couldn’t be more excited to share with all my creative friends a weekend of Creating in Acrylics and Colored Pencil (Classic Chalk Art)! ~ So let’s get into the details! Enjoy the charm of our small town ~ Our Art Center, Coffee Shop, Home Brewery, Bakeries, Old Fashioned Hardware Store, Knitting Shop, Antique Shop, a Creamery and the Best Food for any taste including our Historic Rail Road Station Restaurant! Shop the ‘Merry Maker’s Market’ ~ a few of my creative friends will join us with a ‘Market’ of homemade goods and sweets, along with wood and patterns ~ right in our Retreat Weekend Workshop space! Oh…and did I forget the creative part! We will create together too! Attend one or both days….and Friday is my treat to you ~ for attending! Friday July 19, 2019 ~ the doors will open at 9AM for early arrivals to ‘prep’ (on your own), set up your seat and shop our ‘Market’ and Town! At 6:30pm that evening we will gather to create ‘Santa Baubles’ Paper Garland….my treat for attendees, refreshments will be provided by a local bakery! 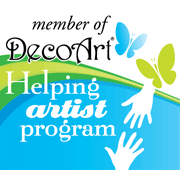 Saturday July 20, 2019 ~ ‘Santa Baubles’ in DecoArt Acrylics ~ Workshop begins at 8:00AM ~ till 5:30PM ~ be prepared! ~ Decorative Art experience required. Sunday July 21, 2019 ~ ‘Santa Baubles Friends’ in Colored Pencil ~ Workshop begins at 8:00AM ~ till 3:00PM – be prepared! ~ Experience requested, not required. $80.00 per day. Attend one or both days. Prep Instructions with line drawing and Supply List (to bring) will be provided upon payment/registration. Paint will be provided to use during Workshop time on Saturday. Morning treats will be provided each day. Interested in the wood surfaces by a local wood craftsman? Available to purchase ~10 x 10 x 8 inch deep square box with scallops and tacks ~ $35.00. 24×12 inch framed chalkboard ~ $25.00. Please visit ‘Shop’ tab to purchase. Click here. (pick up can be arranged for July 19 to prep to avoid shipping costs) ~ certainly you may reduce or enlarge pattern to fit your own surface. classicamyjoanne@gmail.com or 570-778-6992~leave a message for call back. Do you belong to a Chapter? Please share! PS ~ watch for more ‘Santa Baubles’ fun coming your way! 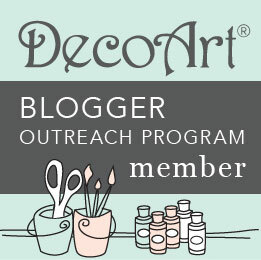 Think Rolly Polly Sculpting and an Ornament Club!